Central Rooms i Amsterdam, Nederländerna : Boka nu! 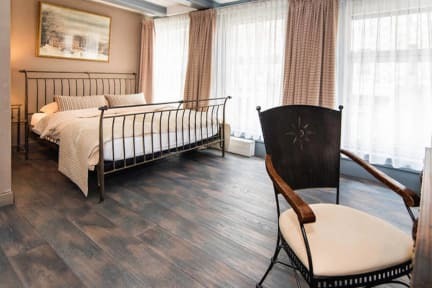 Cozy studio on your own private floor, 100% central and sophisticated ambience in a lovely 17th century Dutch town house in the heart of the city. 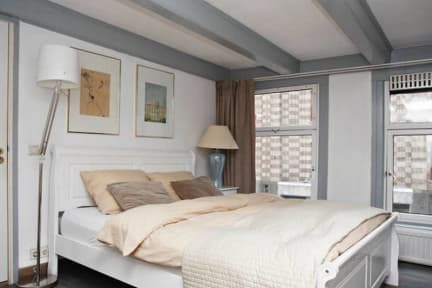 Located a stones throw from Rembrandt Square, Dam Square, Leidse Square and Flower Market. Walking distance from Central Station. Comfortable bed, private bathroom, double glazed windows, blackout curtains, flat screen TV and mini fridge, Wi-Fi but no kitchen, 100% privacy. No Curfew. Walking distance to any central point. We do not accept bookings without a phone number where we can reach the guest. Bookings without phone number might be cancelled.